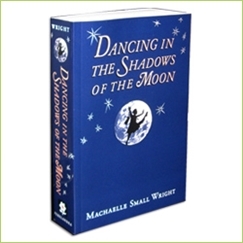 Dancing in the Shadows of the Moon - Perelandra Ltd.
Machaelle's autobiographical book Dancing in the Shadows of the Moon is an amazing and inspiring adventure. It makes us examine our perceptions of life, death and reality. Dancing is a book about expansion — big expansion — the kind that knocks the breath out of us, disorients us, makes us question our sanity. It's the kind of expansion that challenges us to let go of the reality we have always known — and grown to trust — in order to move into a completely new reality that we previously did not know existed. Dancing reminds us that we are not moving through today's challenges alone, that wonderful options for moving forward are right in front of us and that death is not an end to anything. Dancing gives us new ways of seeing — including how we see the present state of the world. In turn, we are put more at ease, we are strengthened and we can function. If you are trying to make sense of life and the universe, Machaelle's experience will give you a new, unique and useful perspective that can change how you understand and interact with the world around you. Want to hear a little more about the book? In this "Just One Bite at a Time" article, Perelandra staff, Beth and Jeannette, share what they learned from Dancing along with responses from other readers. Ready to jump right in and start reading while you wait for your copy to arrive? Here's a free excerpt. I am a reader more than a doer and gobbled this book and Behaving and The Mt Shasta Mission with a hunger I did not realize I had. It has been 20 years since I first picked up this material and I find it has become a deep river flowing in the background of my life. A source in which I can dip my tired feet, a flow of clear water to clarify my muddled mind. Here is a woman who has claimed her authority by being unafraid to embrace the universe the rest of us only allow ourselves a quick peek at, though we live here too in our own way. Bravo! When you have this book in your hands you can't expect to hold as well an extraordinary spacecraft to the unknown, in a way you are :) I have been reading a lot of literature some esoteric, some scientific, some philosophic, some about personal development... But I never had a side effect as strong as when reading this book. It transformed me to degree I could never imagine (thank you MAP and my team! ), AND I could have a good laugh in public transportation :) Don't buy that book in the first place, "Behaving" [as if the God in All Life Mattered] is the first step, but it definitely opens up doors and stargates ;) to comprehend the all Perelandra r-evolutionary adventure. Thank you Machaelle for your courage and love.